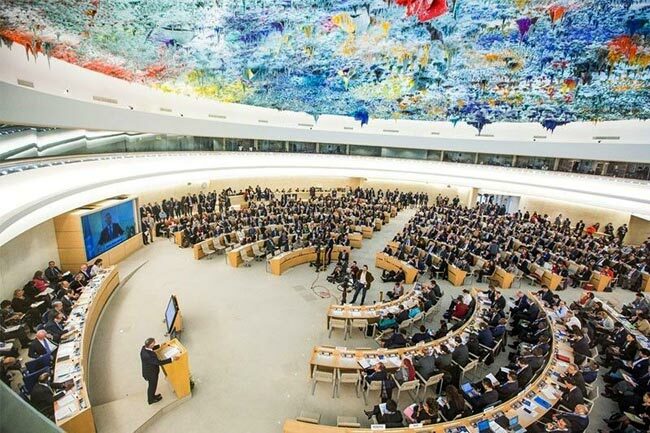 The report compiled by the Office of the United Nations High Commissioner for Human Rights regarding human rights in Sri Lanka is set to be tabled at the 40th session of the United Nations Human Rights Council, today (20). The UN High Commissioner for Human Rights, Michelle Bachelet, will be speaking on the tabled report which assesses progress on the implementation of its recommendation and other relevant processes related to reconciliation, accountability and human rights in Sri Lanka. Following Bachelet’s remarks, the delegation representing Sri Lanka, led by Foreign Minister Tilak Marapana, is set to comment on the relevant report. Along with Foreign Minister Marapana, the delegation comprises of MP Dr. Sarath Amunugama, Northern Province Governor Suren Raghavan, Secretary to the Foreign Ministry Ravinatha Ariyasinghe and Deputy Solicitor General Nerin Pulle.